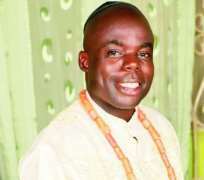 Okokporo says he is the 'Prophet of Okpe Kingdom' and President-General of Okpe Christian Council. “God showed that He is God. I prayed to Him that if it was Him, Jehovah, that called me, that all the kidnappers should go blind, while providing a way of escape for me. Even me that prayed the prayer was amazed. I was seeing them but they could no longer see me. They now started begging me to help them, saying, 'Man of God, we know you are a powerful man, please pray to God that our eyes should open'.